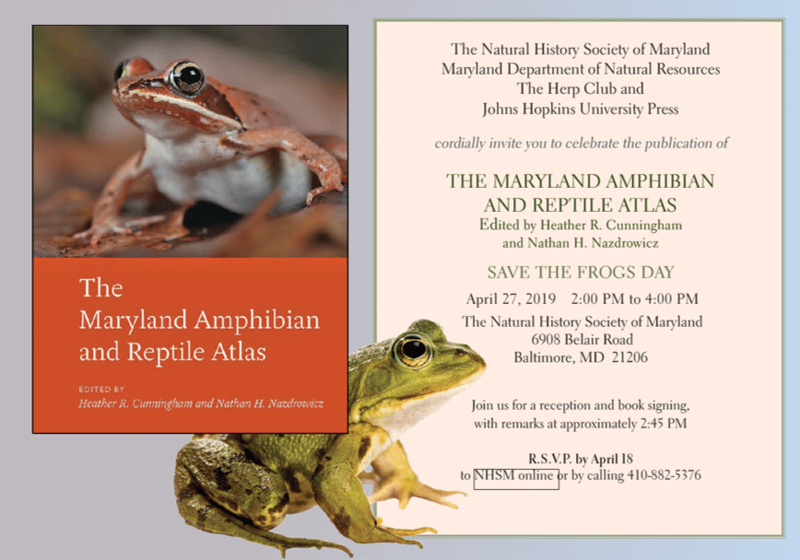 Overlea, MD April 27, 2019: To celebrate Save the Frogs Day, the Natural History Society of Maryland, Maryland Department of Natural Resources and Johns Hopkins Press are heralding the publication of The Maryland Amphibian and Reptile Atlas at a reception from 2:00-4:00pm on April 27 at the Natural History Society’s headquarters in Overlea. The Maryland Amphibian and Reptile Atlas project comprises nearly a thousand dedicated citizen scientists who discovered and recorded the locations of herpetofauna throughout every corner of Maryland. “This richly detailed book represents a triumph of citizen science and the culmination of an intensive research partnership. It will appeal to both amateurs and professionals interested in herpetology, natural history, or ecology, as well as those with a special interest in Maryland’s biodiversity.” Johns Hopkins Press. Project editor, Heather Cunningham and Associate Director of Wildlife and Heritage Service with the Maryland Department of Natural resources, Glenn D. Therres, will give brief remarks beginning at 2:45. The Natural History Society Herpetelogical Club will be on hand with select specimens and displays from the Society’s collection as well as to answer any questions about reptiles or amphibians. Books will be available for sale and signing. 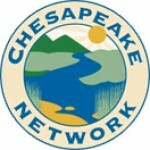 RSVP online at www.marylandnature.org or by calling 410-882-5376. 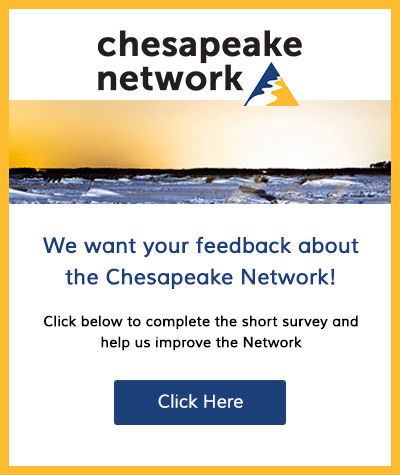 Founded in 1929, The Natural History Society of Maryland is a nonprofit dedicated to fostering stewardship of Maryland’s natural heritage by conserving its natural history collections, educating its citizenry, and inspiring its youth to pursue careers in the natural sciences.